There's been transfer rumors swirling in the wind since the end of the regular season, and it seems now it's finally starting to happen. Two more depth chart casualties. Both 5th year seniors can likely transfer and play immediately in what will likely be mid-major or even FCS destinations. Both Furman and Ash were pressed into the first extensive duty of their career late in the year, with Furman getting a couple of starts due to injury in the safety corps and Ash being rolled out to see if he could somewhat delay the runaway train that was the OSU rushing offense. The answer there was NOPE, and Furman was also not too good in his limited time. Ash's departure will effect the depth along an already thin nose tackle spot. With Qwash graduating, that puts pressure on Pipkins who's returning from ACL surgery and other guys like Willy Henry, Maurice Hurst and Henry Poggi. I doubt Ash would've cracked the starting spot, but his place on the depth chart was at least reassuring. 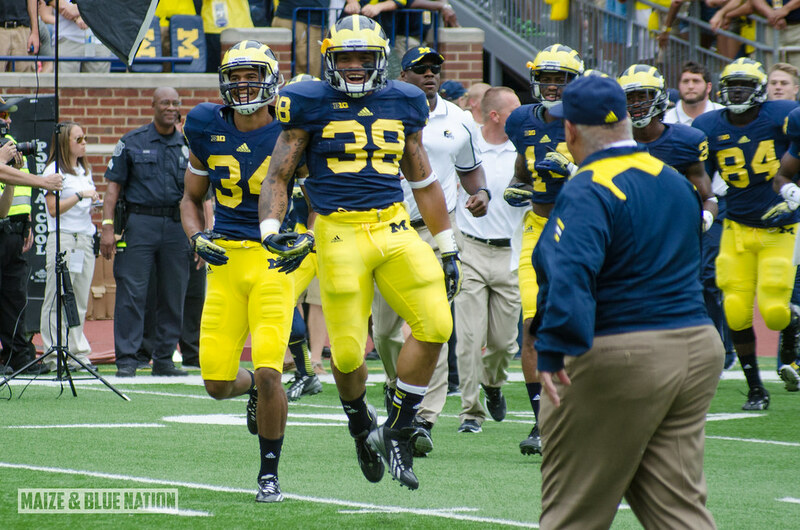 These three may constitute the beginning and the end of Michigan's off-season attrition. If that's the case, then this isn't that bad of a blow.